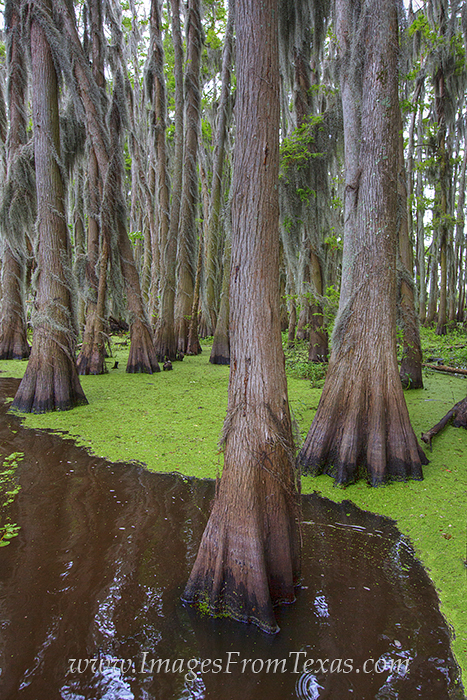 While sitting in a boat, I wanted to show the winding path of green algae through the trunks of the old cypress trees at Caddo Lake. I didn't realize this at the time, but noticed later a huge wolf spider resting on the tree closest to me. This critter was as big as my hand, and I, having an aversion to spiders, would want no part of him! Photo © copyright by Rob Greebon.